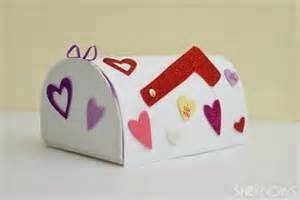 It was an art project tradition in my 1970s Ozarks grade school for children to make their own Valentine's Day mailboxes and then walk around the classroom personally delivering cards to each classmate like a kiddie postman. I took this business seriously, as it was one of the few truly creative outlets I had in the Ozarks. That's why my Valentine's creations were always a childish blend of Charles Eames and Edith Head (not an envied mix, mind you, in my rural classroom). My mailbox was MUCH more elaborate! My great undoing came when I created a Barbie-themed mailbox, using shocking pink gauze and Barbie's body parts as my foundational décor. I had always wanted a Barbie but never received one, so I "borrowed" one from a girl in school – along with her root beer Lip Smackers – and ended up murdering her doll. I dressed Barbie's torso a la Cupid with little pink wings and a little pink quiver filled with little pink bows. But the piece de resistance was the mailbox flag I crafted from Barbie's missing legs, positioning them sideways, like a gymnastic whore, so that one long, glam gam could be lifted into vertical position to show when I had received a card, or lowered to show when my box had been emptied. My masterpiece was greeted with great fanfare by the girl from whom I had borrowed Barbie. When she saw her beloved doll dismembered and hanging from my mailbox, she screamed a scream that still reverberates in my head. That prompted our class bully, a kid who simply and scarily used an empty cigarette carton to gather his Valentine's booty, to open my mailbox and announce, "What have we here?" What he discovered was a series of cards that had been given to me by a male classmate, who had a love for Garanimals, books and, apparently, me. 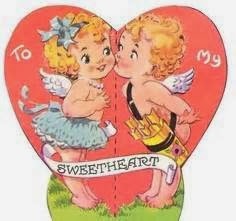 They were lovely, vintage cards – not childish Valentine's – of two cupids kissing, our names stenciled above each cupid's head. The class bully tortured us all winter, calling us names, tripping us when we would go for milk, and interlocking the arms of our coats on the rack in the back of the classroom, a silhouette that, from a distance, made it look as if me and my sweetheart were about to embark on a long, romantic walk together through a snowy wood. To spare myself in future years, I stuck to Speed Racer themes, and buried my burgeoning sexuality even deeper into the coat closets of my rural classrooms. Eventually, I ran from my Ozarks hometown, to college, graduate school, bigger jobs and even bigger cities. But the funny thing about trying to outrun your past? It always catches up to you. And so it did one day not long ago when I checked my mailbox to discover an invitation to a high school reunion. My first reaction: No way. I wadded up the invite and tossed it in the trash, thinking of how far I'd run to escape those years, and of how genuinely happy I was in my life with Gary. But, over the course of the next few months, I had a second reaction: I wonder what happened to those people from my past that I'd spent so many years alongside? I started with some investigative Facebook research, and, when I went to visit my father who still lived in the small town in which I'd grown up, I morphed into Angela Lansbury, snooping around for clues on those I'd lost touch with, especially the childhood "sweetheart" and bully from Valentine's past. More than anything, I think I wanted to know if they had found love and were happy. I was told the cigarette box bully who had taunted me even into high school had run into many troubles and endured a very hard life. I learned that my childhood sweetheart, the smart, quiet kid with loads of talent, had moved, married, and was happy and successful. That Valentine's Day, on a whim, I went out and bought two cute cards featuring kissing cupids and inscribed a personal message, intent on sending them to my long-ago bully and sweetheart. I'm the one in the skirt and bow. I considered our lives – all our lives – and finally realized how transformative Valentine's Day can be, if we are just brave enough to embrace its never-changing intent. Which is why I ended my notes with the simple words, "Love, Wade." Hi there, i read your blog occasionally and i own a similar one and i was just wondering if you get a lot of spam remarks? If so how do you protect against it, any plugin or anything you can advise? I get so much lately it's driving me insane so any help is very much appreciated.